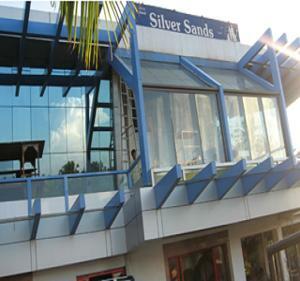 Silver Sands Resort provides air-conditioned rooms with free Wi-Fi just 100 metres from Colva Beach. It has a restaurant, an outdoor swimming pool and a tour desk. All rooms at Silver Sands Beach Resort come with an en suite bathroom and comfortable seating areas. They are equipped with a writing desk and cable TV. Some rooms offer views of the pool and sea. The resort is located about 22 km from Dabolim Airport and just 7 km from Madgaon Railway Station. The tour desk helps guests organise excursions to tourist attractions. Recreational facilities at the resort include a tennis court and table tennis. The resort also provides car rental facilities for guests who wish to explore the region on their own. Sea and Wind Restaurant serves a selection of Indian, Chinese and European dishes. A 24-hour room service is available. Free! One child under 5 years stays free of charge when using existing beds. One older child or adult is charged INR 896 per night and person in an extra bed. Maximum capacity of extra beds in a room is 1. There is no capacity for cots in the room. Supplements will not be calculated automatically in the total costs and have to be paid separately in the hotel.